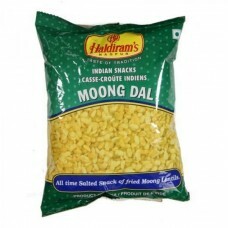 Its very famous tea time snack in india. This fried split green gram (moong dal) snack is great for munching. This crunchy and satisfying snack is bit salty, so you also can enjoy this snack to add chopped onion and tomato and squirt them with bit of lemon.